TransAsia Airways Flight 235 was a scheduled Taiwanese domestic flight from Taipei Songhan Airport to the Kinmen Islands. The aircraft, registration B-228516, was a twin-engine turboprop made for regional airliners, the ATR 72. It can seat up to 74 passengers and is operated by a two-pilot crew. B-22816 had two Pratt & Whitney Canada PW127M engines and was less than a year old. There were five crew and 53 passengers on board. The flight crew consisted of three extremely experienced pilots. The Captain (Pilot Flying) had 4,914 flight hours and the First Officer had 6,922 flight hours. A flight instructor who was in the jumpseat had over 16,000 flight hours. The aircraft took off from Taipei and climbed through 1,000 feet. Two minutes after take-off, the flight crew declared an emergency. Control Tower [inaudible] … wind 100 degrees, 9.9 knots. Clear to take off. Control tower TransAsia 235. Control tower. … TransAsia 235, Control tower. Contact was lost at 10:53 GMT, just two minutes after departure. Flight 235 passed over the Huangong Viaduct, where multiple cars with dashcams inadvertently recorded the disaster. The aircraft, flying level, first cleared an apartment building. Then it rolled sharply, at nearly a 90-degree bank angle, left wing down. As the aircraft flew low over the elevated viaduct, its left wingtip struck the front of a taxi travelling west on the viaduct, and the outboard section of the wing was torn off when it struck the concrete guardrail at the edge of the viaduct. Two people in the taxi were injured. 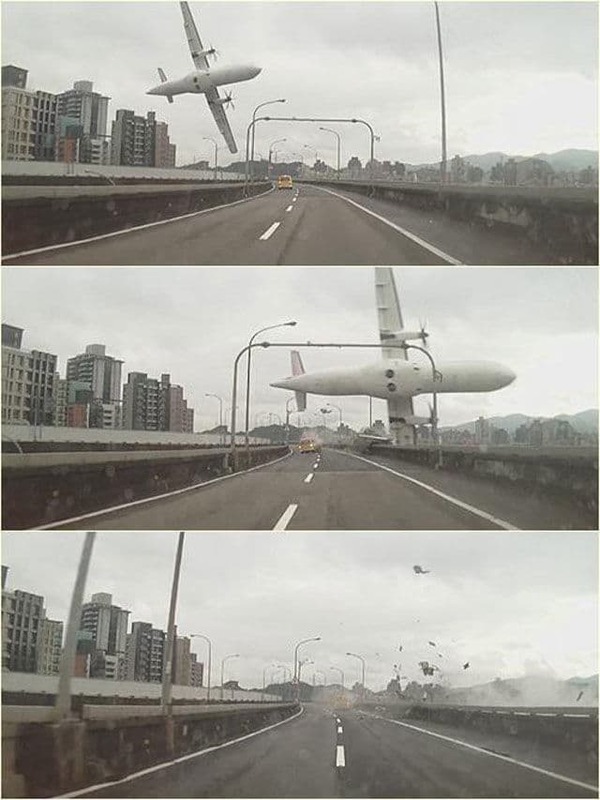 The following shows the aircraft in its last moments before it crashed into the Keelung River and the wreckage after (caution, may be disturbing). 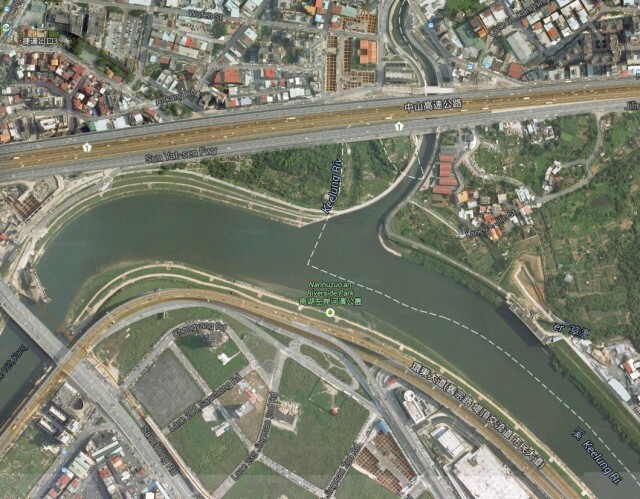 As of today (6 Feb 2015), 15 people have been rescued. 35 occupants of the aircraft were killed in the crash and eight are missing. Two were injured on the ground when the aircraft hit a taxi on the road but suffered only minor injuries. 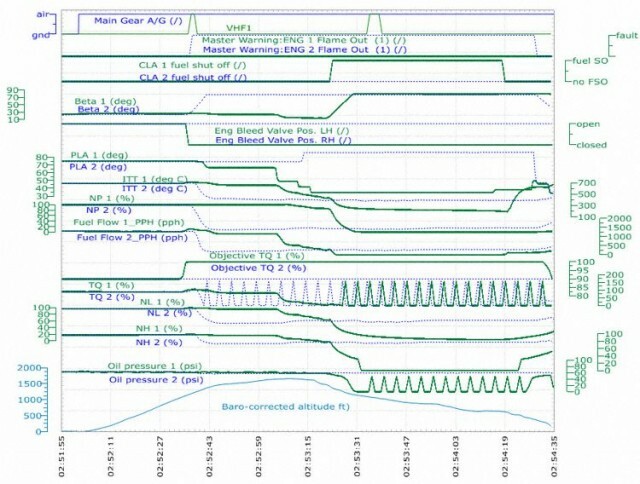 The Taiwanese Aviation Council has released some preliminary data from their investigation, specifically the engine plots from the flight-data recorder. All times are given in GMT. The blue dotted line is the right-hand engine, engine #2, which is the one that had the original fault. The green line is the left-hand engine, engine #1. 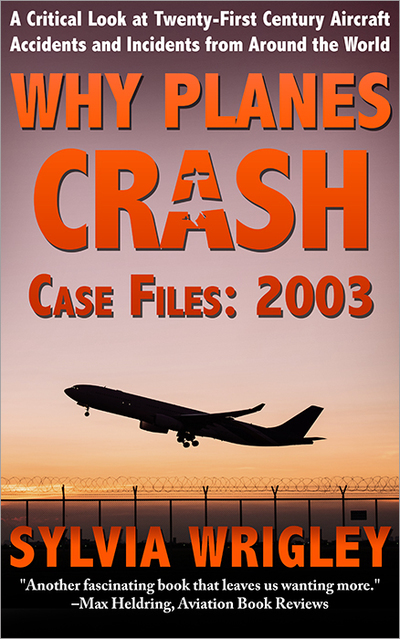 10:52:38 The aircraft had been airborne for 37 seconds and was at 1,200 feet above mean sea level when a master warning showed that the right-hand engine (engine #2) had failed. 10:53:06 The right-hand engine (engine #2) auto-feathered. The director of the Aviation Safety Council said in a press event that there was no flame-out. The right-hand engine shifted into idle mode but the oil pressure never changed. It’s unclear what triggered this. According to the Aviation Herald, at 10:53:19 the crew discussed that engine #1 had already feathered, the fuel supply had already been cut to the engine and they decided to attempt a restart of engine #1. However, I’ve not seen a copy of the cockpit voice recorder data or a news report that it is released, so I’m not sure where this information has come from. However, there’s no doubt that at this point, the left-hand engine, that is the working engine, was shut down manually. Now the aircraft has no power. Half a second later, all devices on the aircraft stopped recording. The actions of the pilots don’t make sense. They clearly believed that an engine had flamed out but even taking this into account, there’s no reason to shut down the other one. The ATR 72 can fly on just one engine so losing the right-hand engine would not have necessarily been an issue. Right now, it looks suspiciously like this tragedy could have been averted if the pilots had done nothing at all. But this is surprising considering how experienced all of the pilots were and I’m still hoping there will be some other explanation. The Taiwanese Aviation Safety Council is leading the investigation, with the French BEA representing the country of manufacture and the Transportation Safety Board of Canada representing the country of engine manufacture. They expect to release a preliminary report in 30 days. Is it possible that this is a classic case of incorrectly identifying the failed engine? It is just unbelievable ! When first looking at the video footage I found that it was very difficult to see, if not virtually impossible, which engine had stopped and whether or not one had autofeathered. 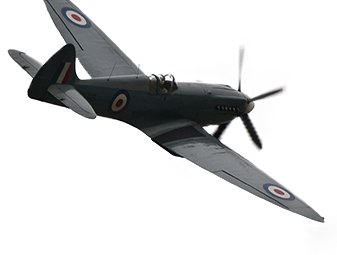 Judging from the considerable experience of both pilots, the scenario as now playing out in the news seemed out of the question. So it seemed to me that the crew suffered an engine failure AND a failure to autofeather immediately after take-off at a catastrophically low altitude. Now it seems that it is the East Midlands crash all over again. The autofeather system is designed and installed to prevent a too high workload in the event of an engine failure just after take-off. All the crew had to do was to: 1. avigate (keep control of the aircraft), 2. navigate (make certain you are aware where you are going), 3. communicate (declare an emergency) and IN THAT ORDER. A reasonably well-trained crew should not have had a major problem keeping control. Their initial action could have been limited to controlling the aircraft. The flight director of the ATR is part of a sophisticated “glass cockpit” and a speed bug can be pre-programmed to give command bar indications commensurate with the desired speed (V2) as set. The map showing the radar trace of the aircraft on this blog is a bit small, but it seems that the aircraft went through a number of very erratic heading changes. I also heard that it initially reached an altitude of 1200 feet which should have been ample to react successfully even to an unexpected loss of power. The presence of an “instructor” in the jump seat does not necessarily mean anything. Was he or she a basic instructor or qualified on the ATR ? Many years ago a baseball player, Munson, crashed his Citation during an approach following a go-around. The press at the time made a lot out of the presence of an “instructor” in the RH seat but he was only a PPL, SE basic instructor along for the ride. I agree with Sylvia: let us hope for the sake of the pilots that there is another explanation. The aircraft seemed to have suffered an engine problem at 1200 feet. Even with the buildings around the airport, assuming this was at 1200 feet above ground level, all other systems functioning, the aircraft should not have been in any kind of danger. The autofeather system should have taken care of the drag from a windmilling propeller. There should not have been any need for a sudden, hasty and premature action to shut down an engine. The command bars of the flight director should have been indicating a climb. All the crew would have had to do was keep the aircraft straight, assume the optimum climb speed, synchronise the flight director with this speed and keep flying. Take a deep breath, call ATC and go through the emergency check list. At this point the situation should have been under total control. What is more, the pilots apparently were very experienced. Flight on one engine in a modern airliner is a relative non-event. I have had to shut down an engine in-flight on a Fokker F27. OK, we were in cruise flight but there was nothing to it. My F/O at the time had nothing like the experience the co-pilot of the ATR had, but he was well-trained. He was pilot-flying at the time and I did not see any reason to take over. We made an approach according “to the book”, no panic at all. 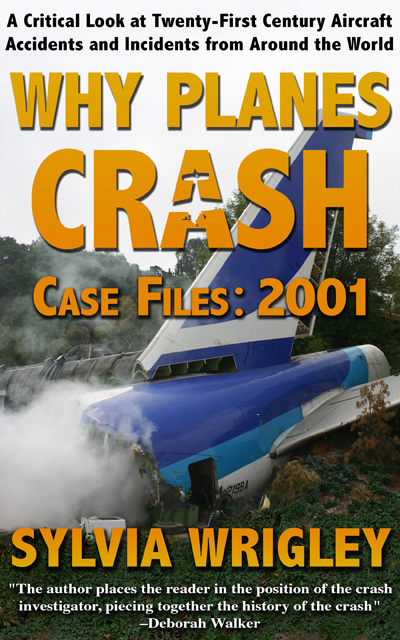 So for the time being, until the investigation is complete, this crash is a bit of a mystery because there is no rational explanation yet as to why the wrong engine seemed to have been shut down. Note: I said “Seemed” ! Very unusual release of FDR just a couple of days after the crash, what it’s the ASC intention? Most of people will undersatand nothing from that plots, nothing but the pilot shut down the wrong engine. 1. The pilot knows which is the faulty engine but he mixes up the levers and turns off the one he doesn’t want. As two levers must be taken down, (PL & CL), redundancy eliminates this possibility in a minimum experienced pilot. 2. He is wrong on which is the failed engine, and he turns off the one he wants. There were 3 pilots in the cockpit, all of them well aware of all the system warnings and signs: PF, 5k flight hours; PNF, 6k, and a flight instructor in the jumpseat, 16k hours. Their expertise makes impossible such a confusion, unless they all had become fool or they were having a faulty indication on which was the faulty engine. So many evidences in the engine control system malfunction lead to the suspicion of a faulty warning and faults identification system either. 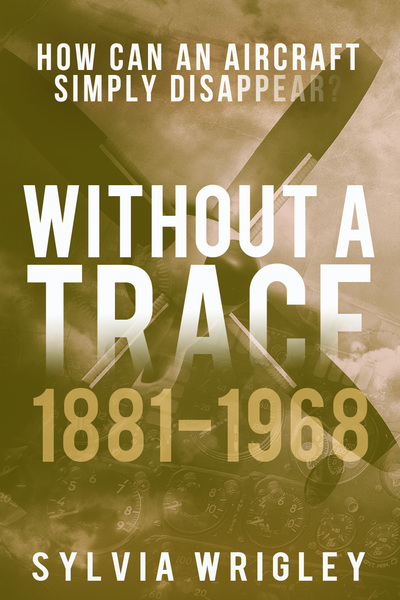 The pilot did the right thing according to his information on what was happening, but what really happened, he never knew. 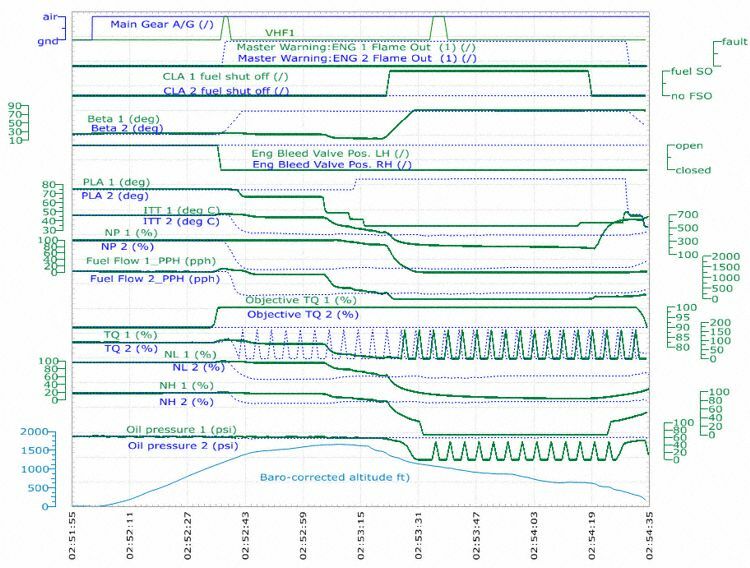 ATR and Pratt & Whitney have to clarify so many inconsistencies and malfunctionning in their engine control system concerning this A/C crash. Blaming the pilot, who will never come back to explain, will never be a right way to end this issue, either regarding the pilot’s memory and the passengers safety. 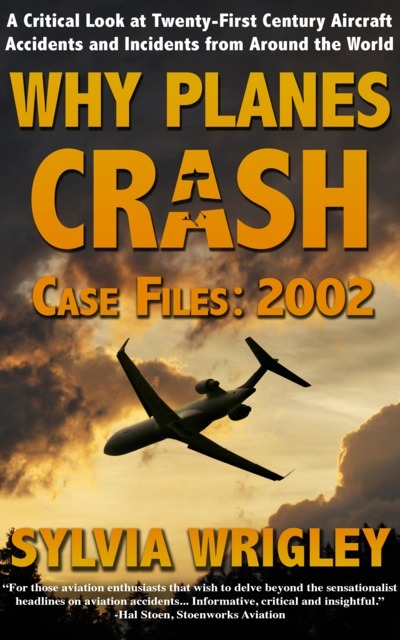 Let us give the crash fatalities and the pilots deaths, a last sense: to prevent it from happenning again. Maybe the ASC intention for the early FDR release is just this: to provoke a public discussion that shuts up the easy way of a responsability escape in the final report, either for ATR and PW. Thanks, Sylvia. I’m a Chemist who also likes Physics, but I never went into aeronautics until I saw that impressive ATR72 belly of flight GE235, over the Huangdong Viaduct, vertical wings, falling like a stone, up-side down, into the Keelung river waters. What did the pilot feel inside the cockpit, in front of the fatality, above that road, by knowing that everything was definitely lost after having failed trying all of his best? May it be possible for a mother’s heart to feel the truth before any one else can find it? What about if the pilot’s truth is not the one displayed in the Flight Data Recorder? If the FDR does not show what the crew was actually being informed of, in the cockpit? If they both are inconsistent? What happened and why did it happen? And I got into this exciting and fascinating aviation world. I’d like to honour the pilot’s memory, his mother and father, as probably the hardest and worse thing in one’s life is your son passing away before you. I’d like to help to bring them an official recognition that their son did the right thing while he flew his last flight. I also live near the Costa del Sol, in my case, because Spain is my country. Nice to meet you, Sylvia. Another point that baffles me, is how on earth does a plane that is almost brand new, suffer an engine failure so soon after being built? !